The discovery of Sake: thank the rice farmers of the past. Some brave soul tried drinking the liquid in leftover rice and took the first step into the world of sake. Since then, Sake production methods has gone from the physical chewing and spitting of rice by virgin maidens (yes only virgins) to mass productions in breweries. The very first breweries was opened by the imperial courts, bringing forth specialized tools for the new growing craft. The imperial brewers then confined brewing to the courts and frowned upon commoners enjoying the alcohol. However, after a period of time, the brewers felt constricted by court and wanted new ingredients and water sources to experiment with the process . Because of this, Sake then realigned itself with religion and many of the Imperial brewers ventured out to countryside shrines and temples to open small breweries by themselves! The monks became the guardians of sake, refining and advancing the techniques. They learned to recognize the chemical differences in water sources that produced different qualities of sake, creating the Bodai Moto method of fermenting rice (which uses raw rice and the activity of natural lactic acid bacteria.)! 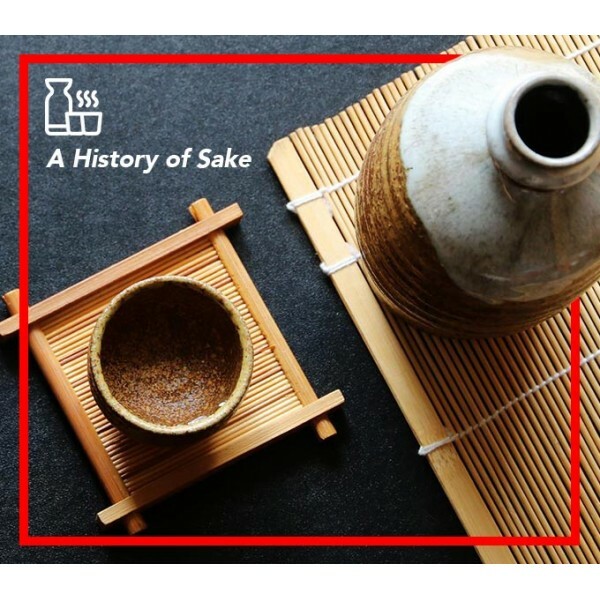 30 years later, they also documented San-dan Shikomi (the 3 step method), which is a popular sake brewing technique used till this day. Fast forward to present day, commercialization and industrialization of Sake is well underway. Farmers who previously harvested in autumn and had nothing to do till spring could now brew sake in the winter. Sake, traditionally stored in ceramic jugs, are now stored in glass bottles.Even the rice used, brown rice, was substituted with white rice due to leaps in technology - improving the quality of sake. Now, you enjoy the final products of a long legacy. With demand at an all time high,, large rice polishing machines and concentrated super yeasts go a long way towards increasing production. With tiny changes along the way, Sake has perfected itself bit by bit. From irregular products with different qualities each batch, Sake has standardized to a efficient system to give you the amazing sake you know today.